I live outside the United States. What do I need to attend? If you require a travel visa to the U.S., ensure that you secure your visa prior to registration. Please note that we only cover lodging. You will be responsible for the cost of your flight. I am a local attendee. Do I get the same benefits? While local attendees will not receive hotel accommodations, they will still receive additional Bootcamp benefits, i.e. complimentary lunch, all day-refreshments, and access to networking events. Will the hotel be close to the office where the training will be held? Yes, the preferred hotel property is just minutes from our training facility. As a majority of the students arrive using personal transportation or have secured rental cars, only students that need transportation can make arrangements for the I-Drive Trolley to and from our facility. Please contact the Orlando Training center for more information at 407.354.4866. If my classes are not scheduled back-to-back, who covers the cost of lodging in-between classes? We structured the schedule to accommodate the most common requests: back-to-back multi-level training for the same application (i.e. Photoshop Intro, Intermediate, and Advanced). The hotel accommodation included in your registration only covers the cost for lodging for the days of your training and the night before your training begins. Additional nights are available at a discounted rate. The cost of your registration includes, training fees, print class materials, lodging (for out of town students), daily lunch, all-day refreshments, and access to networking events. 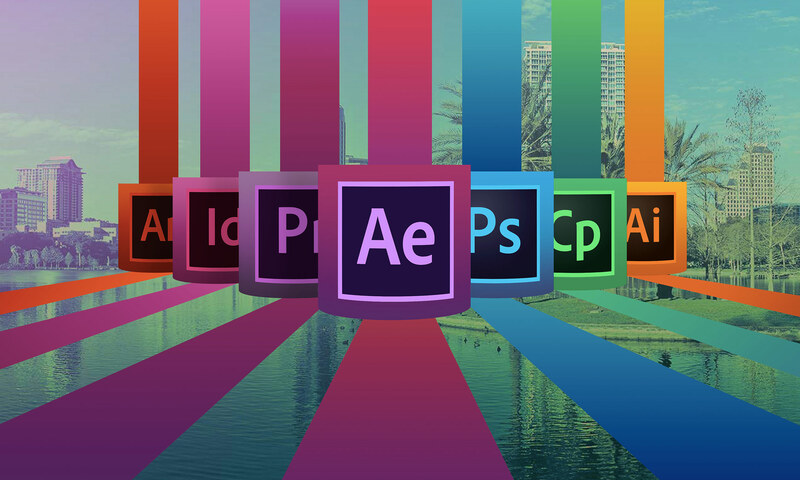 The Adobe Bootcamp spans the course of two weeks, however, you choose only the classes that match your interest and training needs. You are not required to attend the full two weeks of training. How many classes can I attend? You can make this decision based on your interest, skill level and budget. You can attend multiple levels of training for the same application (e.g. Intro, Intermediate and Advanced Photoshop), or different level training for different applications (e.g. Advanced Premiere Pro and Intro to Photoshop). Check out the schedule available for the location of your choice to see what options are available during your preferred dates. For attendees that qualify for hotel accommodations, how are the reservations handled? You will receive complimentary hotel accommodations for arrival the evening prior to the 1st day of class, and will be required to check out the morning of your last day of class, unless you make arrangements to extend at your own cost. *FMC only covers your room reservation + tax. All incidentals must be secured with a personal or company credit card. I want to extend my hotel reservation at my own cost. Do attendees receive special pricing? If you wish to extend your hotel reservation, please contact the Orlando training center at 407.354.4866. All rates for guests will be the same as contracted room block rate of $99.00 per night + 12.5% state and local tax. Government and Florida Education employees may show proof of employment and your reservation will be tax exempt for the additional nights. If you are a local attendee that is interested in securing a hotel reservation, please contact the Orlando training center at 407.354.4866. We can coordinate your reservation which you will be required to secure with a company or personal credit card upon arrival at $99.00 per night + 12.5% state and local tax. Government and Florida Education employees may show proof of employment and your reservation will be tax exempt.